If you have never been to one of Ghesquière’s catwalk shows for Louis Vuitton, try picturing what Coco Chanel might wear to a Star Wars convention, and you start to get the idea. Elite Parisienne travels to space is Ghesquière’s signature aesthetic. “It’s not an armour, it’s more like a shell. It’s architecture, it gives strength.” The silhouette is always neat, as if mindful of economy of space, although the travel theme that dominates the history of Louis Vuitton is more often than not abstract these days: where once it sold steamer trunks, the house now sells miniature suitcases barely larger than a passport, and clutch bags in the shape of spaceships. In May, parent company LVMH made the unusual step of announcing that Ghesquière, who arrived at Louis Vuitton on a five-year contract in 2013, had signed a new contract to stay as designer. 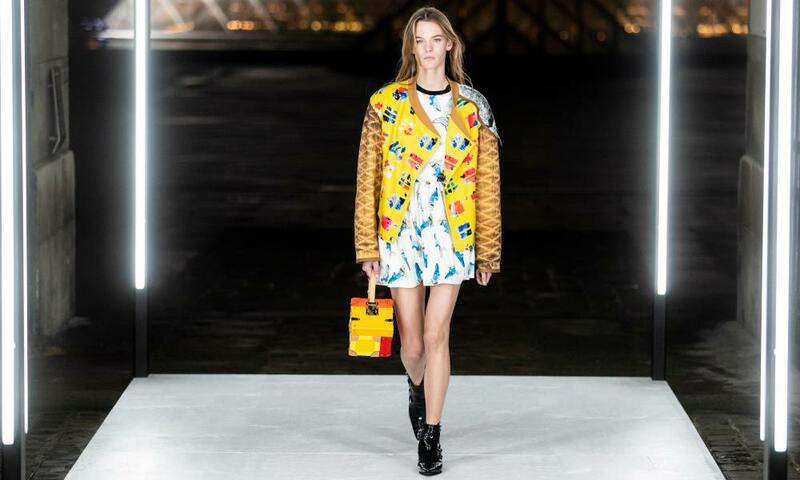 Deals between designers and brands are generally done behind closed doors, so the move amounted to a very public statement of faith in Ghesquière’s vision for Vuitton, which amounts to a modernist, almost sci-fi, take on bourgeois-chic classic silhouettes. Neat jackets, A-line dresses, narrow trousers and fluid dresses are the keystones of a high-fashion look that in turn sprinkle stardust on a robust business in handbags and leather goods. Louis Vuitton is the world’s biggest luxury brand, generating almost 8bn euros in annual revenue, accounting for the bulk of LVMH profits. For it to be in safe hands is of paramount importance to its owners. The statement that accompanied Ghesquière’s re-signing credited him with “unprecedented” growth in Louis Vuitton womenswear. 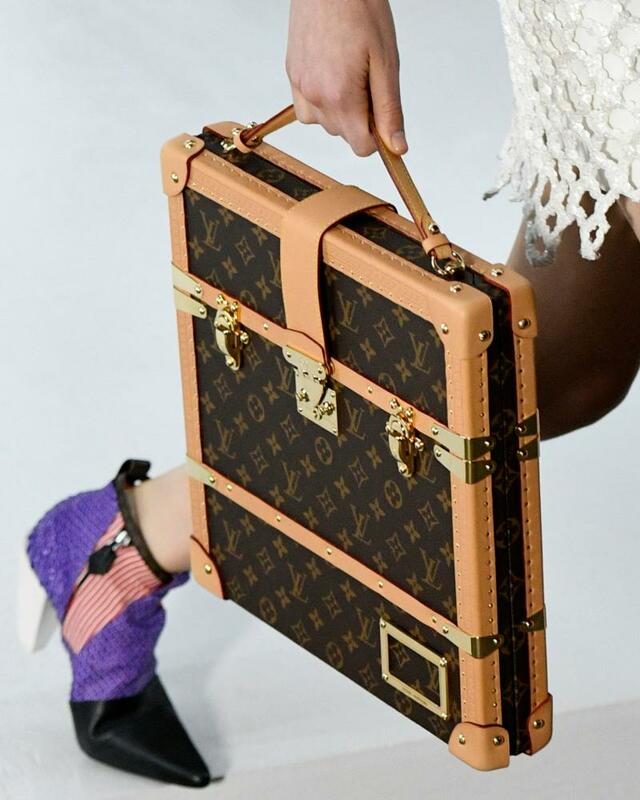 “He has established a strong, daring Louis Vuitton aesthetic imbued with the spirit of the house and his own sensibility,” said chairman Michael Burke. The appointment of Virgil Abloh to menswear designer of Louis Vuitton earlier this year was a throw of the dice by LVMH, who are betting on streetwear continuing to dominate men’s fashion. Ghesquière, by contrast, comes from a more traditional background.